Write the name of each part of the microscope in the blanks in Figure 2.1 or Figure 2.2. (Label only the drawing which most closely matches your microscope). Your microscope is a compound microscope; that is, it has two sets of lenses which focus the light into your eye and magnify the object being observed. The lens closest to your eye is the eyepiece which is scientifically known as the ocular. Some microscopes have two oculars and are thus binocular. Your ocular magnifies objects ten times (10X). The lens closest to the object being observed is an objective. Your microscope has either three or four objectives mounted on a revolving nosepiece. 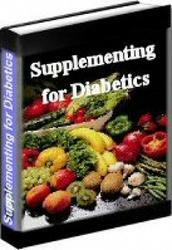 Each objective has a magnifying power which is printed on the lens. In Anatomy and Physiology you will use the 10X or low power objective and the 43X (or 40X) high power objective. The other lens(es) will not be used. Never touch the glass part of a lens with anything except lens paper. Always return the lowest power objective into the down position before storing the microscope. 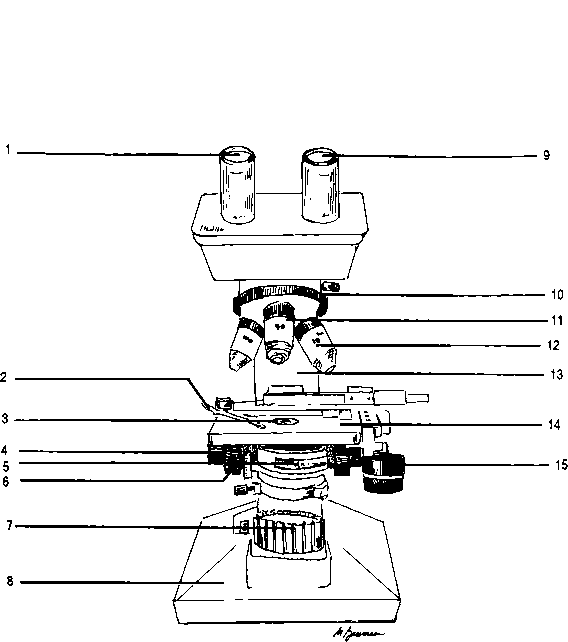 The total magnification of a microscope is calculated by multiplying the magnification of the ocular (10X) by the magnifying power of the objective. Thus the total magnification using the low power objective is 100 times(lOOX). This is calculated by multiplying 10 (ocular) times 10 (low power objective). Your microscope has a special feature called parfocal. This means that once you have located and focused the object on low power you will have to make only minimal adjustments of the fine focusing knob to focus the object at high power. The sturdy bottom of the microscope is the base. Built into the base is a light source. Always turn the light off before you put your microscope away. The arm extends upwards from the base and holds two concentric adjustment knobs, the stage, and the lenses. Carry a microscope with one hand on the base and the other hand on the arm. The larger adjustment knob is the coarse adjustment knob and is used only with the short, low power objective. The smaller fine adjustment knob is used to focus when you are using the high power objective. The slide to be observed is placed on the stage. 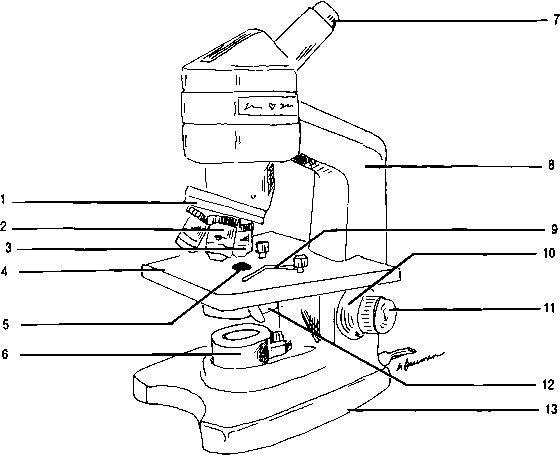 Some microscopes have a mechanical stage which allows you to move the slide without touching it. Such a stage has a mechanical stage control. On other microscopes the slide must be moved manually. Slide clips hold the slide and steady it when you move it. Beneath the stage is another lens, the condenser, which condenses light onto the slide. Below the condenser is the diaphragm. The diaphragm is controlled by the diaphragm lever or by a diaphragm ring. The diaphragm controls the amount of light that passes into the slide. 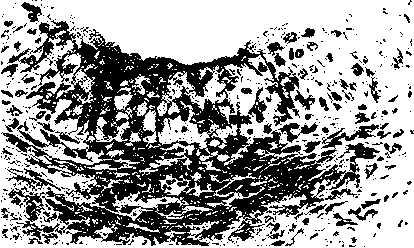 In microscopy, the more light entering the specimen the less resolution or detail you can see. In order to see detail you must reduce the amount of light entering the slide. However, with too little light it will be too dark to see anything! Good microscopy depends upon adjusting the light level to an optimum level maximizing visibility and resolution. Some microscopes have a rheostat to control the brightness of the light source. If your light has a rheostat, then you may use the rheostat and the diaphragm to control the amount of light. HINT: EVERY TIME YOU CHANGE SLIDES OR LENSES, READJUST THE LIGHT OR DIAPHRAGM. MAKE THIS A HABIT, AND YOUR EXPERIENCES WITH THE MICROSCOPE WILL BE MUCH BETTER. Get your microscope and plug it in. Your teacher may assign a specific microscope to you and have further instructions regarding setting up your microscope. Turn on the light. Do not look through the ocular until Exercise 2.3. Look down on the stage and adjust the diaphragm or the rheostat if your microscope has one. Notice that the amount of light coming through the stage varies. Adjust so that the light is about half bright. Be sure that the low power objective is in place. Put the slide labelled "e" on your stage. Align the "e" over the hole in the stage. Looking through the ocular turn the coarse adjustment knob until the "e" comes into focus. You may not be able to see the entire "e". The circle that you see in the microscope is known as the field. Move the slide to the right. The image in the field moved to the_. Move the slide away from you ("up")- Notice that the image moves_. Also notice that the "e" on the stage is upside down to the image you see through the ocular. SUMMARY: MICROSCOPIC IMAGES ARE UPSIDE DOWN FROM THE SLIDE AND MOVEMENTS OF THE SLIDE ARE REVERSED IN THE IMAGE. Return the "e" to the center of the field. Be sure that you are in focus using the coarse adjustment knob. Click the high power lens into position WITHOUT MOVING THE COARSE ADJUSTMENT KNOB OR THE STAGE. A BASIC RULE: IF YOU SEE NOTHING. START OVER BY FOCUSING WITH THE LOW POWER OBJECTIVE. Note that your microscope is parfocal. The "e" is almost in focus when you changed lenses. Use the fine adjustment knob to focus. NEVER USE THE COARSE ADJUSTMENT KNOB WITH THE HIGH POWER OBJECTIVE. Remember; since you have changed lenses, you should readjust the light. SUMMARY: YOUR MICROSCOPE IS PARFOCAL. DO NOT ADJUST THE COARSE ADJUSTMENT KNOB WHEN YOU MOVE TO THE HIGH POWER OBJECTIVE. AT HIGH POWER THE DIAMETER OF THE FIELD IS CONSIDERABLY LESS. Remove and return the "e" slide. Put the <€three colored threads" slide onto the stage. Focus on low power using the coarse adjustment knob. Center the point where the red thread crosses the blue thread. Change to the high power objective. Remember the objective will not hit the stage because your microscope is parfocal. Use the fine adjustment knob to focus on the red thread. Is the blue thread still in focus? SUMMARY: AT HIGH POWER THE "DEPTH OF FIELD" IS REDUCED; THAT IS, YOU CANNOT FOCUS ON TWO OBJECTS WHICH LIE AT DIFFERENT DEPTHS FROM OBJECTIVE. A GOOD MICROSCOPIST CONTINUALLY ADJUSTS THE FINE ADJUSTMENT KNOB WHILE LOOKING THROUGH THE HIGH POWER OBJECTIVE. THIS ALLOWS YOU TO VIEW THE SUPERFICIAL AND DEEP REGIONS OF THE SLIDE. Return the "three colored threads" slide. You will notice that some microscopes have a pointer arrow which allows you to point to specific objects in the field. This will be helpful when you want to be sure that you and the instructor are looking at the same object! Move the micrometer so that a number is visible. Now move the pointer by turning the ocular so that it points to the number. Try to do this without moving the slide. Return the low power objective into position. Turn off the light. Return your microscope to its storage area. SUMMARY: THE FIELD IS ACTUALLY SMALLER AT HIGH POWER, THOUGH IT LOOKS THE SAME SIZE. THE POINTER IS BUILT INTO THE OCULAR AND CAN BE ADJUSTED WITHOUT MOVING THE SLIDE. 1. _ Carry the microscope with (1) hands. 3a. _ When you finish with the microscope you should turn the light (3a) and return the (3b) power 3b._ objective into the down position. and the objective is 10X? and the objective is 43X? and the objective is 40X? 7. _ If the total magnification is 430 times and the ocular is lOx, what is the magnifying power of the objective? 15X, what is the magnification of the ocular? 10. What is the purpose of the diaphragm? 11. _ What is a micrometer? 13- _ The circle of light that one sees when looking through the ocular is the (13) . Write the word true or false for each statement. 14. _ When using high power it is always possible to have everything in the field in focus at the same time. 15. _ You should always leave the diaphragm full open and the light on full bright. 16. _ Resolution is increased by reducing the amount of light. 17. _ The coarse focusing knob is used only with the low power objective. 18. _ The diameter of the field at low power is less than the diameter of the field at high power. 19. _ It is better for the light of the microscope to leave it on when you unplug. 20. _ Lenses can be cleaned with any soft cloth or tissue. 21. _ The term "depth of field" refers to the diameter of the field. From the choices given write the entire answer. 22. _ When you change from low power to high power you will see (more or less?) of the specimen. 23. _ The light is built into the (arm/base/stage). 24. _ The pointer is built into the (objective/stage/ocular). 25. _ The microscope needs little focusing when moving from low to high power because it is (expensive/ parfocal). What rule must be observed when using the highest power objective? How to draw a binocular microscope?